Thanks so much for stopping by our shop! Autumn Lane Paperie is thrilled to present our line of super affordable premade logos designed to keep your business looking professional + chic! Enter the text you’d like displayed on your logo here! Please note that this will not update the logo image on our site, it’s how the designer knows what to put on your logo. 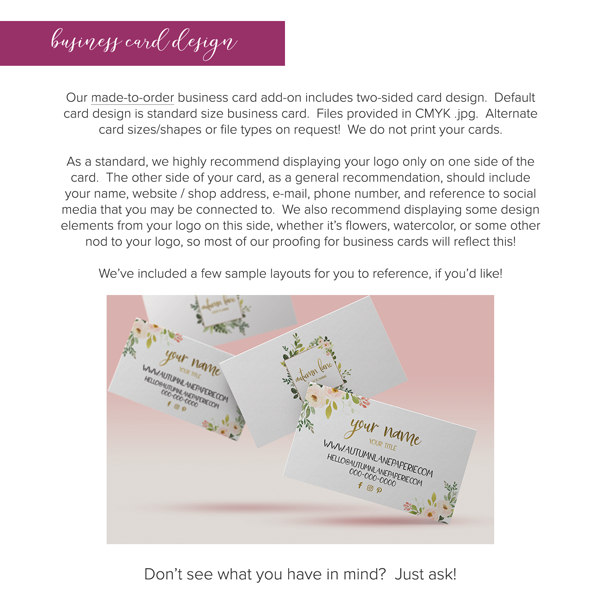 Your proofs will emailed to you within 1 business day following purchase. 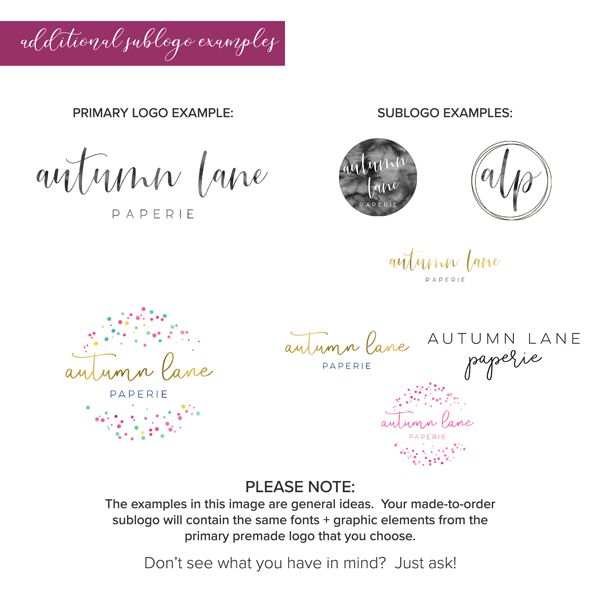 A sublogo is an alternate version of your primary logo, which is displayed in the first & main image on our premade logos! It usually includes the same fonts, colors, and if applicable, graphic elements, but perhaps in as smaller or more simplified state. 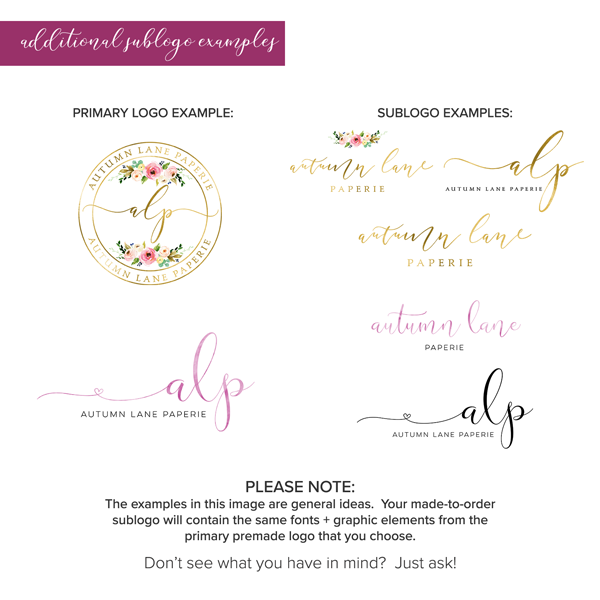 Some sublogos, depending on your needs, could also a be a text-only option or an initials-style version of the primary logo. It may even be a version of your logo with different colored text, which can be useful for watermarking images. 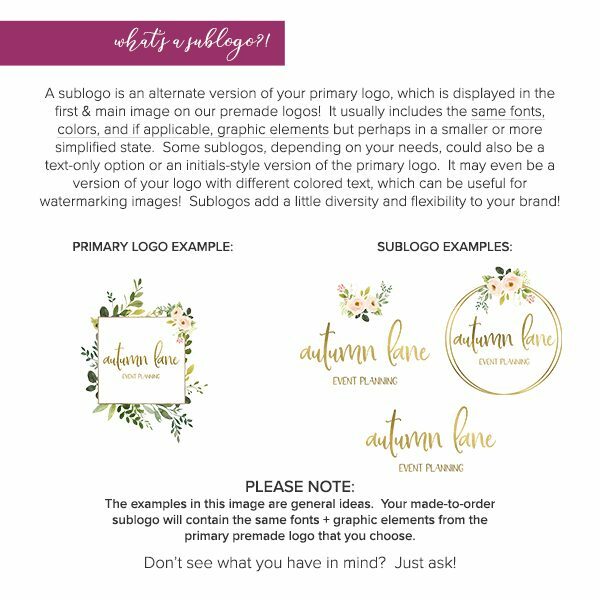 Sublogos add a bit of diversity and flexibility to your brand. 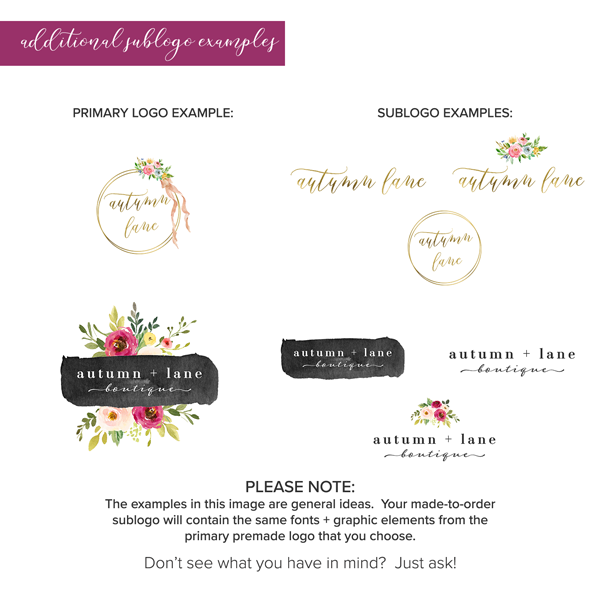 Although we display sublogo examples based on some premade logo options, sublogos are made to order — if you have something in mind, please ask! 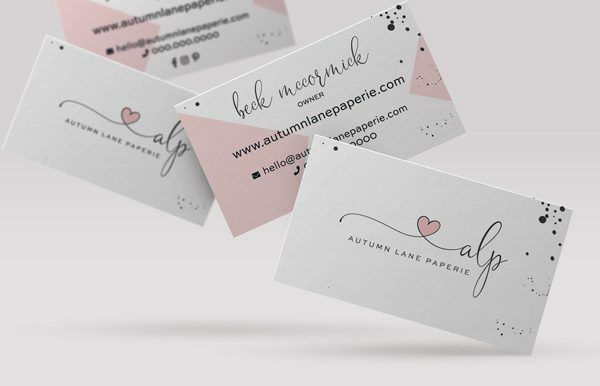 WHAT DOES THE BUSINESS CARD DESIGN LOOK LIKE? 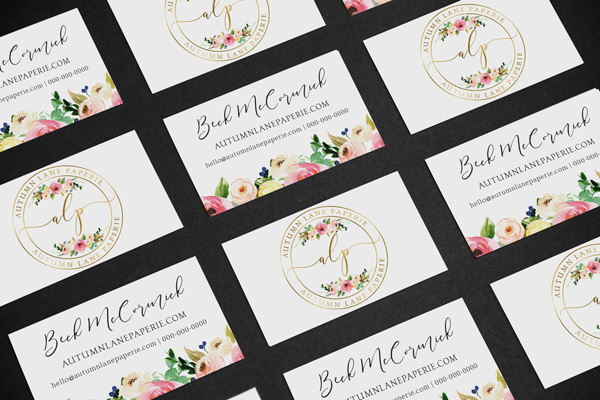 Our business card design is made to order! We’ve included a few business card samples in our product images, but we’re happy to have your input on the design + layout. 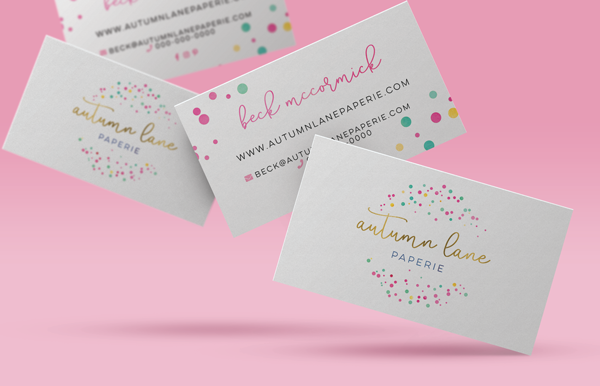 Default card size is standard business card size, and files are provided as .jpgs in CMYK color mode for printing. Alternate sizes and and file types can be provided upon request. Please note that we do not print your cards for you. Following receipt of your order, we will provide your logo proof to you the same or next business day. 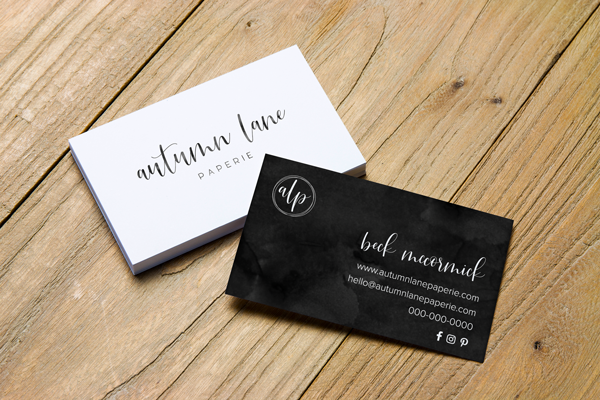 Once approved, we’ll send you your finalized files, which can be used for print + web items! .ai (with no editable text) + .svg file types are available at no additional charge, upon request. Please note that due to the softer nature of the artwork in our logos, some logos may not be suitable for vinyl cutting software. 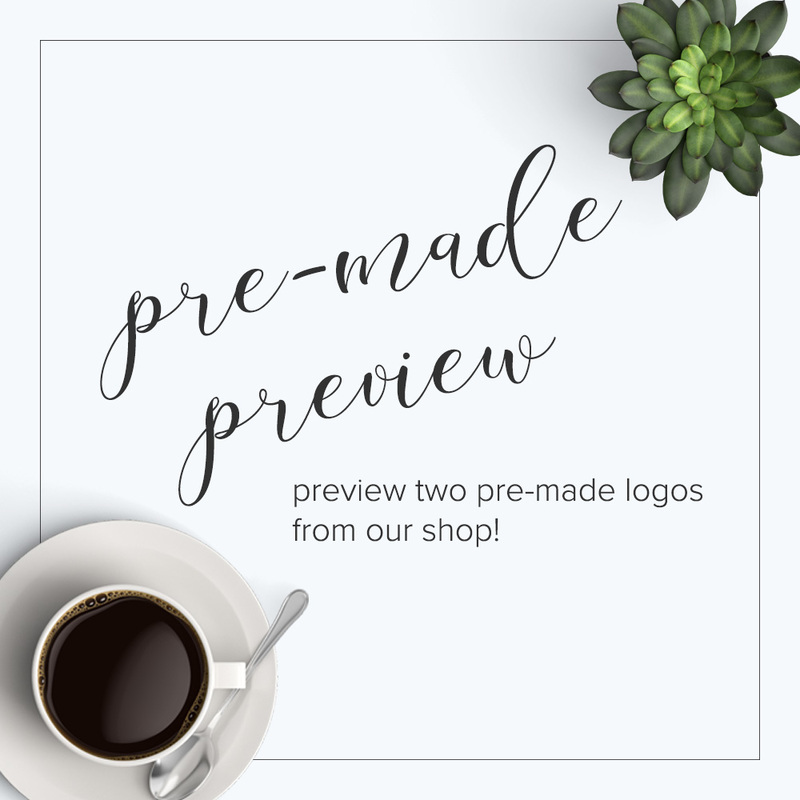 Please note: we do not provide editable files under any circumstances, nor do we provide logo graphics as stand-alone items. Additional changes after the logo has been finalized will incur additional charges. This logo is NOT one of a kind, and will be re-sold. 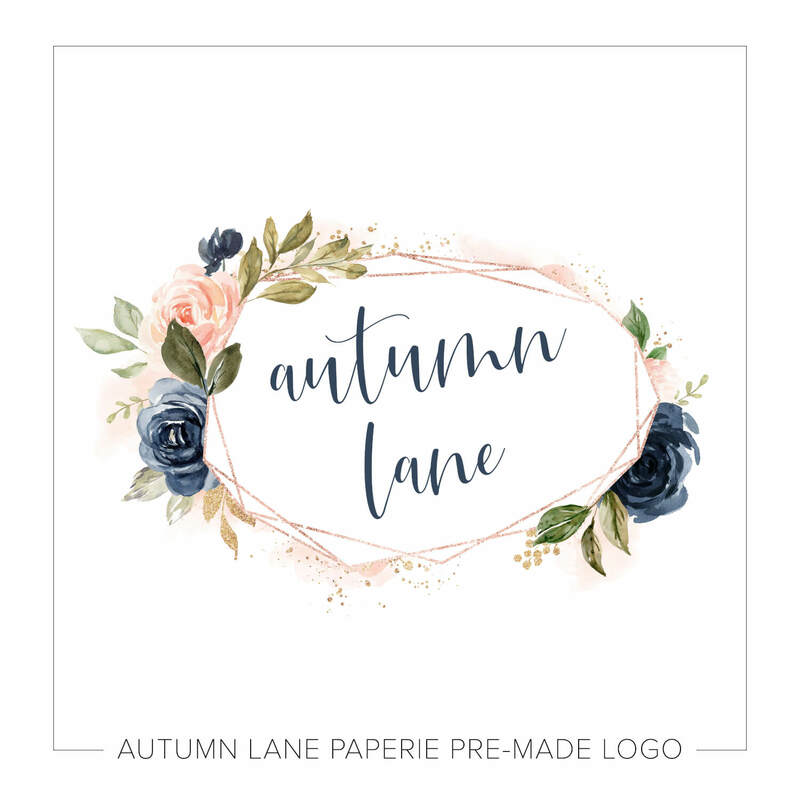 You may not claim copyright or intellectual property rights for Autumn Lane Paperie pre-made logo designs. 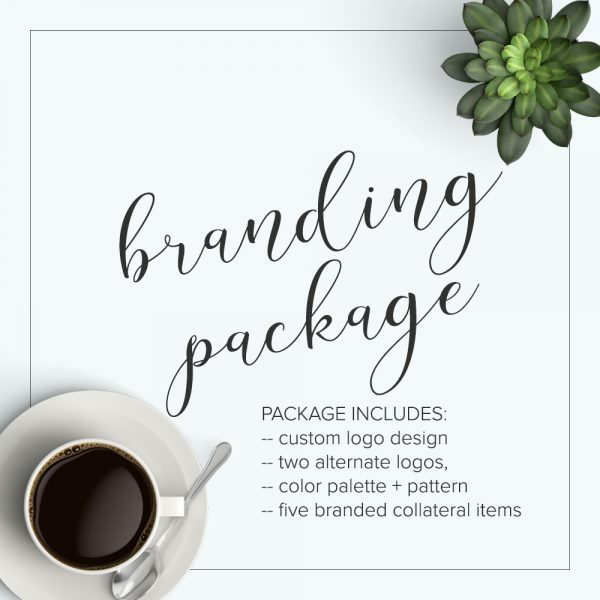 We also provide custom logo design, small business branding, + website design services!